The StylinStrings CALI Mesh Lacrosse Pocket is more of a modern innovation. Due to popular request, we have decided to offer the CALI mesh pocket. This pocket features a unique triangle top string design that forces the top of the mesh to arch, allowing for a superior channel. Another unique quality about this pocket is that it has two woven nylons in place of the top two shooting strings. Our talented stringers apply StylinStrings Side-Wall Theory to each individual head, insuring that the pocket has a natural channel. 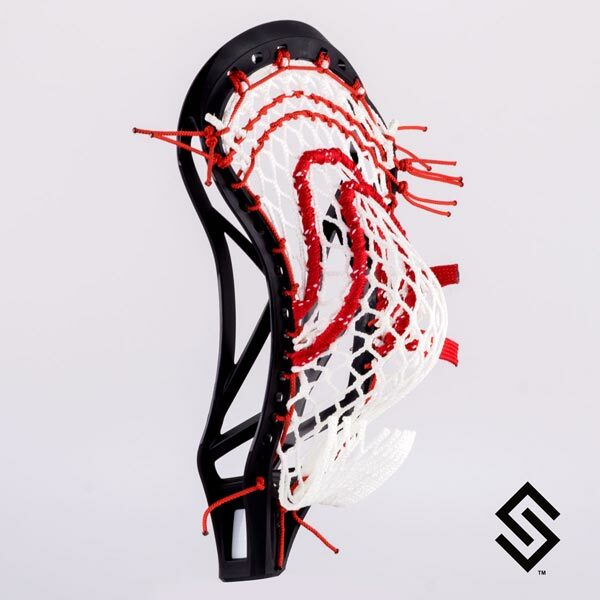 Every SSLAX pocket includes a nylon that is placed between the shooting strings and the plastic lip of the stick that will lessen the maintenance needed, increase the lifespan of the pocket, and prevent the ball from hitting the lip while passing. This pocket design is great for offensive players. "U" Rolled hockey lace used to adjust the whip and the release of the ball.